The Loon Preservation Committee (LPC), in collaboration with New Hampshire Fish and Game Department (NHF&G) and two local tackle shops, conducted a lead tackle buyback pilot program from June until Labor Day in 2018. The primary objective of the program was to determine whether a financial incentive could result in lead fishing tackle being removed from circulation. 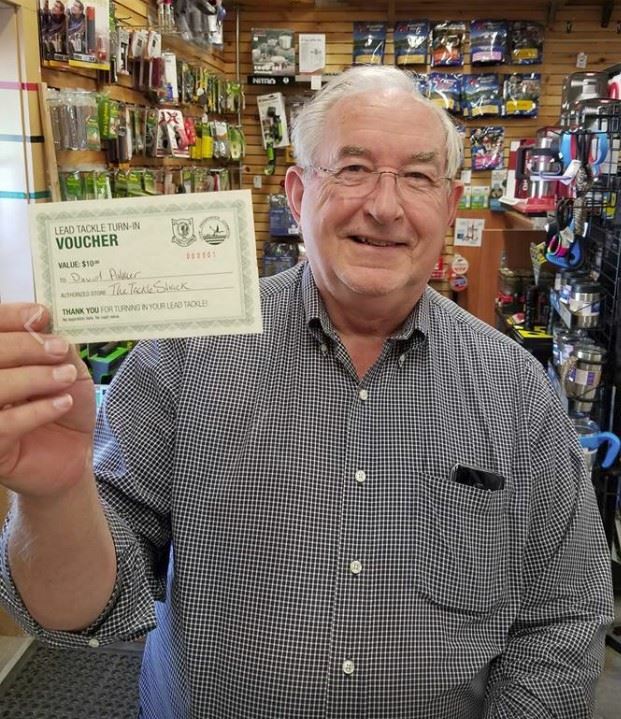 At the two participating retailers, anglers could exchange one ounce or more of lead fishing tackle for a $10 store voucher, which enabled them to purchase loon-safe fishing tackle or other fishing supplies. 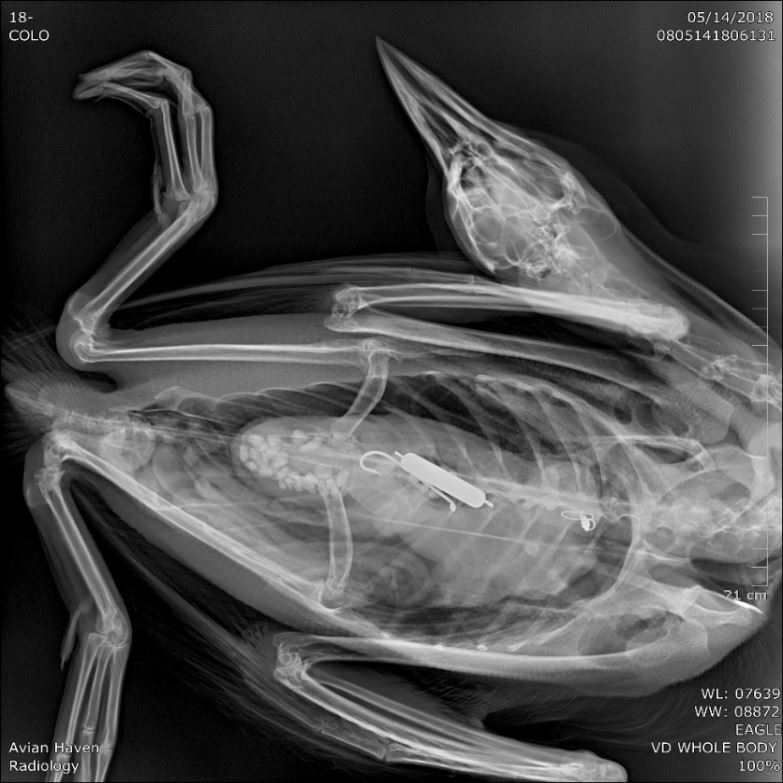 To be eligible for exchange, individual pieces of lead fishing tackle were required to fall within the weight range of one ounce or less—the range known to be the greatest cause of loon mortality and therefore restricted for use and sale by New Hampshire state law. Provided that at least one ounce of illegal tackle was exchanged, additional tackle outside of this size range was also accepted. The pilot was successful by any measure. One hundred twenty-four (124) of 200 available vouchers were claimed, and 3 returns were made in which the participant did not request a voucher. NHF&G designed and printed uniquely numbered vouchers, which enabled reliable tracking and analysis of transactions. These transactions resulted in the collection of 4,786 pieces of lead tackle, weighing 29.0 pounds. 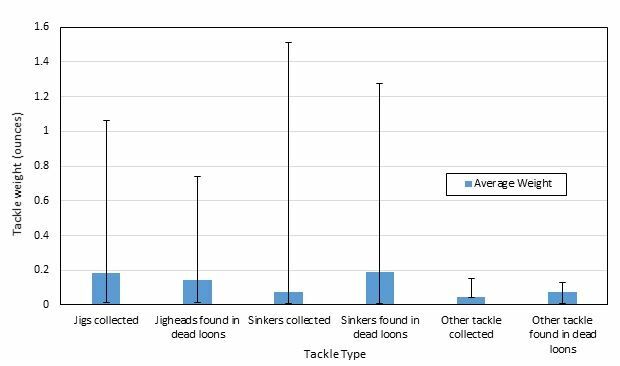 The vast majority of the tackle collected fell within the size range found in loons killed by lead poisoning as a result of ingested lead tackle (Figure 1). Had they remained in circulation, any of these pieces of lead tackle had the potential to kill a loon or other wildlife. 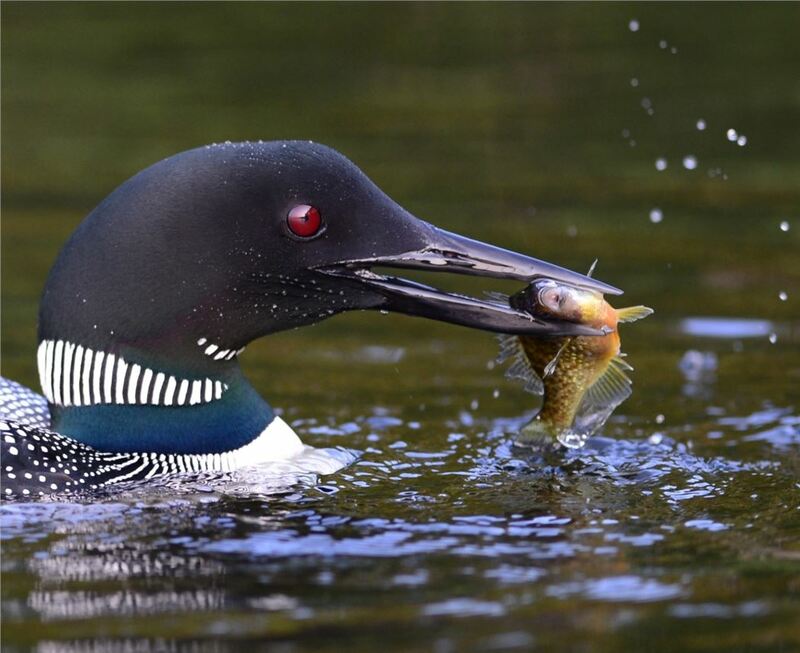 It is important to note that the sizes of lead fishing tackle recovered from dead loons underestimate the size of the tackle at ingestion because recovered tackle has been eroded by stomach acids. This is particularly true of lead-headed jigs, which typically lose their hook and other attachments soon after ingestion. Thus, Figure 1 underestimates the true size ranges of lead sinkers, lead-headed jigs, and other fishing tackle that kill loons; therefore, the tackle collected in the pilot buyback program matches the size range of tackle that kills loons even more closely than indicated by this graph. Figure 1: Size of fishing tackle collected in buyback vs tackle found in dead loons. Color bars indicate average weight of each type of tackle while error bars indicate the range of weights collected. Note: this graph excludes 2 sinkers collected in the buyback program (one weighing 3.01 ounces, the other weighing 2.09 ounces) that were considered to be outliers. In addition to providing incentives for anglers, LPC tested incentives for participating tackle shops as part of the pilot program. In establishing the initial incentives for both groups, LPC relied heavily on the advice of NHF&G personnel. Incentives offered to shops were publicity, new sales transactions, and the opportunity to be recognized as a socially responsible business. LPC gathered tackle shop owner feedback to design a program that creates minimal administrative burden for the shops. Funding awarded by the Alex C. Walker Foundation in August 2018 allowed LPC to expand publicity for the program with print advertising in newspapers covering areas where participating shops were located and one specialty publication serving the sporting community. LPC received very positive feedback from the two participating shops’ owners and employees, who viewed the program as a benefit and expressed an eagerness to participate in the program in the next season. LPC measured the pilot program’s reach among avid and casual anglers by asking participants the number of days they fish per year. This information was recorded on a tear-off portion of the vouchers returned to LPC with the collected tackle. These data will help LPC better target its educational efforts and publicity, and provides information for participating shops seeking to better understand their clientele. The results of this survey (Figure 2) suggest that the pilot program was successful in reaching both casual and avid anglers: 81% of the participants in the lead tackle buyback pilot program reported fishing 11 or more days per year, compared to 34% of people who purchased fishing licenses nationwide in 2016. This suggests that the buyback program succeeded at the goal of removing tackle that would likely be used by anglers – and, therefore, available to be ingested by loons and other wildlife – rather than residing in unused tackle boxes. Figure 2: Number of days buyback participants reported spending fishing per year. Groupings derived from 2016 United States Fish and Wildlife Service statistics regarding angler fishing days per year. To date, LPC has used $1,050 of the total award of $10,000 from the Alex C. Walker Foundation. Remaining funds will be allocated to expanded Lead Tackle Buyback Program efforts in 2019 as described below. Broadening the scale and impact of the tackle buyback program by increasing the number of participating shops. LPC will expand its tackle buyback initiative to additional shops and will issue at least one hundred (100) ten dollar ($10) vouchers for each shop. The additional shops will include locations near Ossipee Lake and Squam Lake. Participating retailers will be selected on the basis of increasing spatial coverage of the state, with particular focus given to areas near lakes with high fishing pressure and a record of loon deaths from ingested lead sinkers or lead-headed jigs. Testing the effectiveness of various means of marketing for the tackle buyback program. LPC will continue print marketing while increasing digital marketing of the buyback program with targeted digital advertising and social media tactics that involve collaborating with NHF&G and participating shops (posts that highlight participating retailers and customers exchanging lead tackle, etc.). The trackability of various campaigns’ success will be improved through use of unique online identifiers. Additionally, we will now ask anglers where they heard about the program when they exchange tackle at participating shops. Testing the effectiveness of expanded collection efforts that do not involve a financial incentive. LPC has consulted with New Hampshire’s Department of Environmental Services Division of Solid Waste Management and devised a system for collecting lead fishing tackle via municipal transfer stations in Towns lacking curbside collection. LPC has begun outreach to these municipalities’ governing bodies, offering secure lead tackle collection boxes and lead tackle disposal at no cost to the municipalities. LPC is prioritizing locations near sites of loon mortality from ingested lead tackle and will expand the program as available resources allow. This market-based initiative is designed to reduce poisoning of loons by building lasting conservation partnerships between anglers, retailers, and wildlife management agencies—who can help with education—as well as with collection of lead tackle. It is also intended to produce a replicable and scalable model for efforts in other states. Common Loon rescued on Lake Winnipesaukee on May 14th, 2018, with ingested lead fishing sinker. The loon died from lead poisoning within hours of its capture. 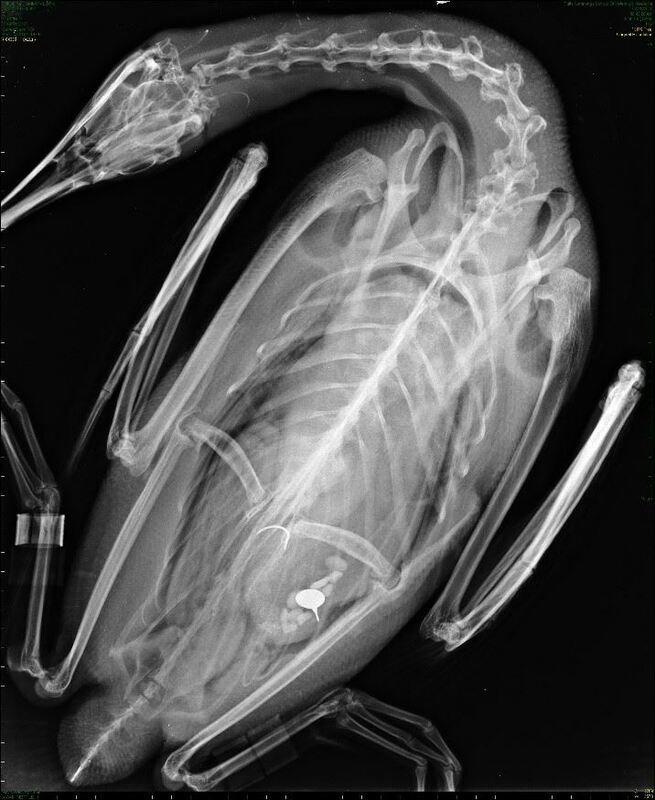 Radiograph courtesy of Avian Haven. Common Loon rescued on Squam Lake on July 17th, 2010, with an ingested lead–headed fishing jig. The loon was euthanized because of a lethal level of lead in its blood. Radiograph courtesy of Cummings School of Veterinary Medicine, Tufts University. The first lead tackle exchange voucher was given out on May 31st, 2018. Photo courtesy of the Tackle Shack, Newbury NH. 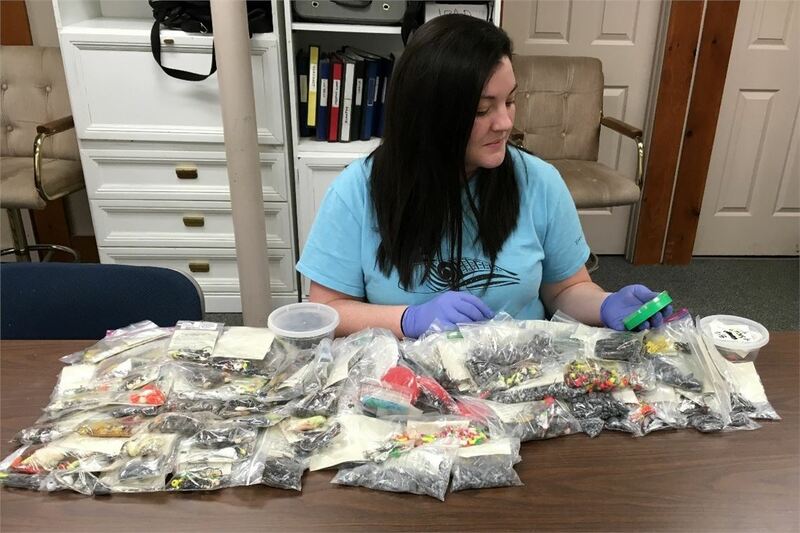 inventorying tackle collected by the Lead Tackle Buyback Pilot Program. Legislative efforts supported by LPC resulted in restrictions on the sale and use of lead fishing tackle in New Hampshire; however, loon deaths continue from lead tackle currently in use. LPC is seeking to reduce use of lead tackle by establishing market-based incentives for disposal and expanded education about alternatives. Funds from the Alex C. Walker Foundation would expand LPC’s Pilot Lead Tackle Buyback Program to improve accessibility to the program for anglers and give LPC a broader presence in the angling community. Providing staff and consultant time for coordination with retailers, advertising, and other facets of the pilot would ensure that shops have a positive experience and receive adequate value exchange in the form of promotion and customer traffic. This market-based initiative is designed to reduce poisoning of loons by building lasting conservation partnerships with anglers—who can help with education—as well as collecting lead tackle. LPC exists to restore and maintain a healthy population of loons throughout New Hampshire; to monitor the health and productivity of loon populations as sentinels of environmental quality; and to promote a greater understanding of loons and the natural world. The Pilot Lead Tackle Buyback Program is a state-wide initiative. The pilot program was presented at a meeting of the Northeast Loon Study Working Group (a consortium of government, not-for-profit and industry groups and researchers from throughout northeastern states and eastern Canadian provinces working on collaborative approaches to study and mitigate issues facing loons) in March of 2018. Several groups expressed interest in the project and discussed its replication, if successful, in other states. LPC will advise and facilitate efforts of these groups to secure funding and launch tackle buyback programs in other states.